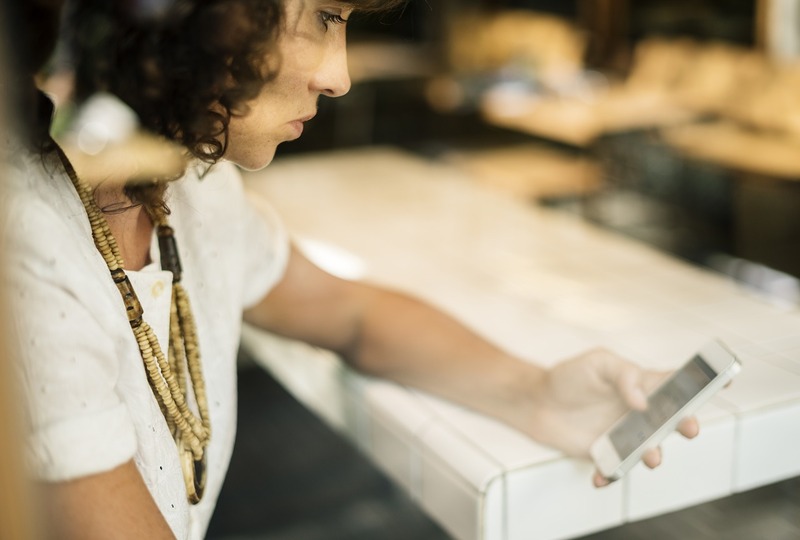 Online and mobile chat or text options are being offered by more nonprofit organizations everyday, including loveisrespect, Planned Parenthood, RAINN as well as other intimate and domestic partner violence counseling services. For people in situations where making a phone call isn’t possible, online chat services can provide a desperately needed lifeline that traditional telephone hotlines can’t. Additionally, an increasing number of younger people don’t use the telephone in the way other generations do, often preferring chat or text for communication. Chat can feel more anonymous, helping people be more open and honest. And if English is a second language for someone, they may feel more comfortable typing than speaking. I worked with four domestic violence service agencies over the last few years on a collaborative project to create just such a service for domestic violence survivors in the San Jose, California area, launched last year as SafeChat Silicon Valley. Based on what we learned in that project, here are some facts as well as questions to help you assess the feasibility, organizational readiness, and capacity of starting a similar service in your nonprofit. Nonprofits who provide these services report that online and mobile chat is far more popular than text or SMS. If your organization is considering both types of services, chat is the one to consider implementing first. Some organizations provide chat only, since it works on any internet-connected device and doesn’t create the charges clients may have to pay for each text. However, if you operate in an area with limited internet connectivity, text or SMS may be a better solution. It’s best to ask your clients and other potential users to understand their needs. While people are more honest and forthcoming via chat, you do lose the tone of voice and inflection that you get when you speak to someone on the phone. Advocates or others who staff the chat service will need to adjust their tactics and communication accordingly. 1. Is our technology ready? Adding a chat or text service requires your technology to meet a variety of minimum standards. Are your computers, operating systems like Windows or MacOS, and other software up to date? Some services require the newest versions of software and won’t work on outdated hardware. Is your internet connection up to speed? Have you tested all locations for download and upload speeds? Chat tools—and your constituents who use them—require fast speeds to allow you to respond to chats without long delays. Several of the domestic violence agencies I worked withhad to upgrade their connection speed. One tool to test your internet speed: www.speedtest.net (requires Adobe Flash Player). 2. Are our staff and volunteers ready? While many folks talk about capacity building, to be successful with technology, nonprofits must look at capability and skill building. Adding a chat or text service requires thoughtful planning, careful implementation, and a commitment to ongoing maintenance. Has your organization developed a technology plan to help you be strategic in your tech investments? Does your staff need training on managing technology projects? Are staff familiar with the language used to talk about online chat services, broadband, websites, and other related technology pieces? Is there a staff person, board member, or volunteer with experience managing technology projects who can make a commitment to help with this project? If you answered “no” to any of these, start building up those skills with resources from places like Tech Soup or NTEN, or your state’s nonprofit association. 3. What does “success” look like? Describing exactly what you want your chat services to do, who it will serve, how it will be staffed, and what information or service(s) it will provide is essential to being successful. Some organizations start with unrealistic expectations about who will use a piece of technology and how. Clearly articulating what success looks like for the project ensures focus, provides a clear goal that everyone can work toward, and saves resources by clearing stating what the project will – and will not – accomplish. Careful planning is required to get the positive results you desire. What pieces of data or metrics will you use to measure how successful you are? Will you merely measure the number of conversations or will you evaluate the quality of those conversations to help improve the service? Marketing will also be vital to the success of the new service. What metrics will you measure when it comes to website visits, engagement with social media posts, clicks on emails and other similar measures? Taking the time to have staff and management contribute to the vision of how the service(s) will operate and be supported creates a clear vision of success. The first three factors above help you determine if an online chat or text project is feasible for your nonprofit. If you find don’t currently have the capacity to improve your technology readiness, you may need to look for a funder to support you in providing this type of service and where technology needs can be woven into the funding request. You may need to adjust budgets to allocate more resources to updating technology hardware, software, and most importantly, staff technology skills. If the service is a success and you have a high demand for your services, how will you increase your capacity to cover the work staff does currently and this added responsibility? Nonprofits are endlessly creative in finding solutions to these kinds of issues, so you may identify areas that need work before a chat project is feasible. If none of these are possible and solutions can’t be found, you may find this type of project is not currently feasible. During the initial research and discovery phase, you may realize that you are not able to handle adding an additional service or that your constituents may not be interested. You can continue to build your skills and capacity and revisit the project later. 5. What are the roles and responsibilities we need to map out? For SafeChat Silicon Valley, we defined a set of roles that the project required: leads for the project management, for technology, for tool selection, for data, for staffing, for training, for marketing and for fiscal management. Each of these roles had detailed descriptions and work plans created during planning to map out exactly how we would arrive at success. As an expert in nonprofit technology management, part of my consulting role was to help guide the creation and execution of these plans. Distractions and circumstances can often derail big projects, so my role also included keeping us on track, providing the outsider’s view, offering advice about technology-related pitfalls to avoid, and even being a cheerleader when enthusiasm waned or difficulties were encountered. 6. Which tool is the best for our needs? There are many online chat tools and new ones coming to market every month. It’s important to define your needs before you begin looking at tools. This includes what data is collected, the ways in which you will communicate, creating a databank of responses, initial and ongoing costs. Online chat tools are primarily built for commercial customer support and sales, so they are designed to gather and store as much information as possible about the person chatting. In fields like domestic violence, concerns about safety, health and privacy are most important. As you define your needs for a tool, describe what, if any, data you want to collect. For SafeChat Silicon Valley, we had to create a process for staff to purge data from the system on a regular basis to reduce the danger of the system being hacked by an abuser and used against the survivor or the organization. For some nonprofits, the ability to communicate in multiple languages is essential. Some tools can handle translations but need to be tested to ensure the translations are accurate. Some organizations will require that the person staffing the chat is able to write in another language if the translation software is inadequate. Many of the systems allow for a databank of responses to be created, which allows for consistency in responses and the ability to track which common questions are asked and what responses are provided, without sacrificing anonymity of the person with whom they are chatting. Does the tool have that capability? Who will craft the responses and who will maintain the response databank? While cost is a consideration, never choose a tool based on cost alone. Only if all other attributes are equal can you choose a tool based on price. Choose the tool that best fits all of your other needs first, then look at costs. “Free” tools are rarely free—you either get them free for a short time, then pay inflated prices later, or the free version has such restricted functionality that it ends up not being a bargain at all. 7. Are we ready to commit long-term? Even if you’re ready and your community needs a service like this, it won’t be successful without a commitment to the long term. These services are not like a chair that you buy once and just use until it wears out. They require active management, staffing, and support to maintain. Marketing, training, changes based on tool upgrades, upgrading technology as the tools are improved, and adjusting processes to incorporate new features or functions all have to be considered when thinking about your long term commitment to providing these services. With the proper guidance and thoughtful planning, nonprofits of all sizes and technology capabilities can be successful in providing chat or text services.